840.00 sqft. - 1362.00 sqft. Devcity, an architectural marvel bestows you with a divine living style and world class amenities that you cannot even imagine. The architecture of building is such that it enthralls you and offers you a blend of stylish and spacious of homes of superior quality. Apart from housing, Devcity provides you with countless amenities. Lush green environs and calm surroundings delight and mesmerize you completely. As soon as you enter the premises of the majestic residential structure, you are engulfed by a pristine aura that washes away all the day's tiredness and prepares you for the next day. Devcity emerges as ultimate esidential destination that is tailor-made for your beloved family. Obaidullaganj is a quaint town situated in Bhopal, Madhya Pradesh. It is well connected to Obaidullaganj Railway Station and other Bus Stands which are nearby. Buses and train are the major public modes of transport available in and around the area. There are many reputed schools and colleges in the neighborhood which provide excellent studies and career guidance. The locality has many hospitals in the neighborhood which provides good medical facilities. For recreational and entertainment avenues there are many parks, malls and a lake in the neighborhood. Beside this, the major landmark here includes High School Road, UCO Bank and Obedullahganj Bus stand. This locality with its strategic location and set-up of prime amenities and facilities is a great place for comfortable living. 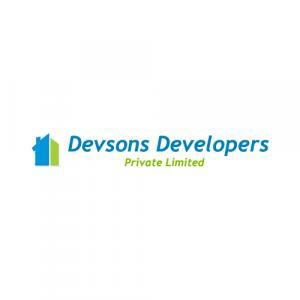 Devsons Developers Pvt Ltd was established with the aim to change the face of the Real Estate Market. The company has rapidly grown to transform itself into a known name in the Real Estate domain by constantly working on the principles of entrepreneurial spirit, talent and a deep sense of commitment to community. Superior quality constructions and innovative state-of-art architecture blend perfectly with a professional approach, that have helped the company to cater to specific client needs. With a vision to create a smile in the lives of their every customer, the Group is constantly delivering top products to the mass at the best prices.